Have you been pondering whether or not it’d be worth giving up your paid cable TV subscription in favor of getting your entertainment online and through streaming media boxes like Roku and Apple TV instead? If so, AT&T may have the deal for you. This week, the home Internet provider unveiled an eye-popping deal aimed directly at the cord-cutting set: You can get 45Mbps of U-verse home Internet service, a subscription to HBO and a year of Amazon Prime, all for just $39 per month. Of course, there are plenty of catches in AT&T’s “$39 HBO Bundle.” First, the $39 per month price is only good for the first year, and you’ll need to sign a one-year contract to get it (there’s a $180 early termination fee). You’ll be on the hook for a $49 service activation fee and $99 installation fee too, not to mention any extra charges for taxes and equipment rentals. And bandwidth junkies beware: Your monthly subscription will only cover the first 250GB of data you use. There’s an additional $10 charge per 50GB of data you use after that. Still, even with all the fine print and hidden charges, there’s a lot to like about AT&T’s offer. Right now, it appears to be the only major pay TV provider willing to offer HBO a la carte – and hence access to the popular HBO Go – without requiring you to pay for a basic TV package you don’t want. AT&T is betting that unbundling channels is better than selling you no TV at all. It’s a bet that may just pay off. 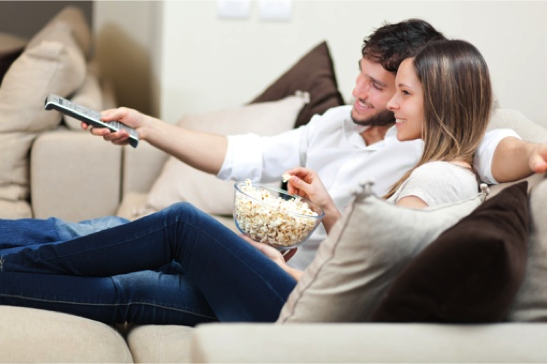 Earlier this year, Experian Marketing Research released figures suggesting that over 7.6 million homes in the United States have given up on paid cable TV in favor of less-expensive entertainment options online. That represents just 6.5% of U.S. households, but the statistics are still weighing heavy on major cable providers. After all, the number of cord-cutters is rising. And many analysts believe the trend will truly explode once young Millennials finally break free of their parents’ orbit and start living on their own. In the meantime, AT&T’s $39 HBO Bundle is worth checking out if U-verse service is available in your area. It’s an online-only offer, so you’ll need to visit att.com to sign up. Don’t wait too long to do so, though – the special pricing is only good through December 13, 2014.